Planning a trip with your church? Group travel can be hectic, but using our party bus or limo services can make it easy to keep everyone accounted for and on-time. Let us take care of transport, so you can focus on your trip. 1. Budget friendly. Limo rental can actually be a great way to save on group travel rates. 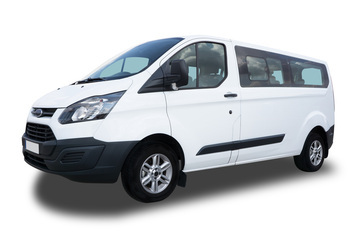 Van rentals and ride shares can be hard to coordinate or require you to do the driving yourself. With our stretch limo and personal chauffeurs, you can avoid the hassle of navigating and focus on your mission. Whether your church group is visiting Gainesville or the surrounding area, it’s guaranteed to be safe and reliable. 2. Professionalism and reliability. Our competent chauffeurs are polite, professional and always punctual. They treat our customers with respect and adhere to road safety guidelines at all times. They are extremely knowledgeable of the Gainesville area and have exemplary driving records. You can rest assured that your group will be safe and sound throughout the trip. 3. Multiple locations. We can accommodate several locations throughout the ride. If you are here visiting the area for sightseeing, we can arrange limos for The Holy Land Experience, local churches and any other destination that you need. We will ensure that you arrive at each destination in a timely manner and in style. 1. Use our free quote form to the right. 2. Wait to hear from one of our friendly booking agents. 3. Enjoy memorable moments throughout your trip. at 352-519-3122. Ask about discounts for mission trips!